I am so happy the fall season is upon us. 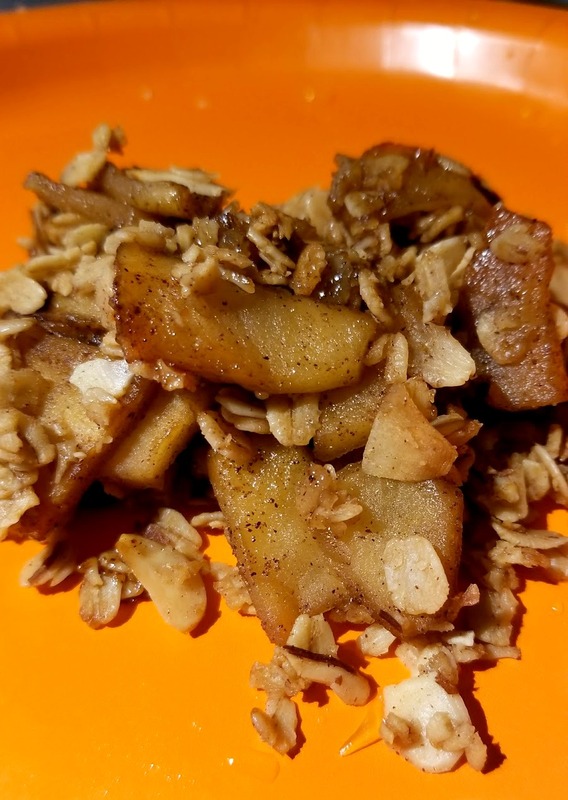 I am breaking out every apple & pumpkin recipe! This is a easy to create recipe with a lot of flavor and my family thoroughly enjoys! Skin and dice the apples. 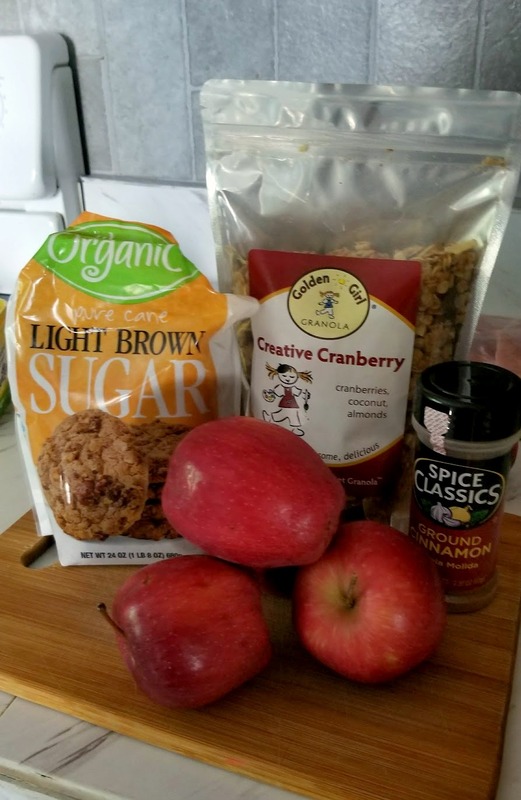 Once you have down that add your cinnamon to a bowl and mix together. Melt a half a stick of butter in a frying pan on low. 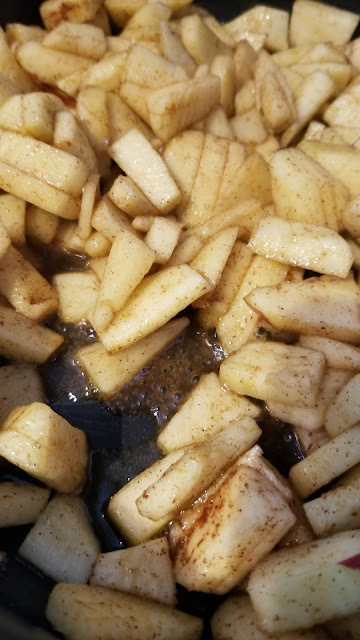 Add the apples, brown sugar and cook down until they are soft. Add the cooked apples to a pie pan. Heat the other half of stick of butter. 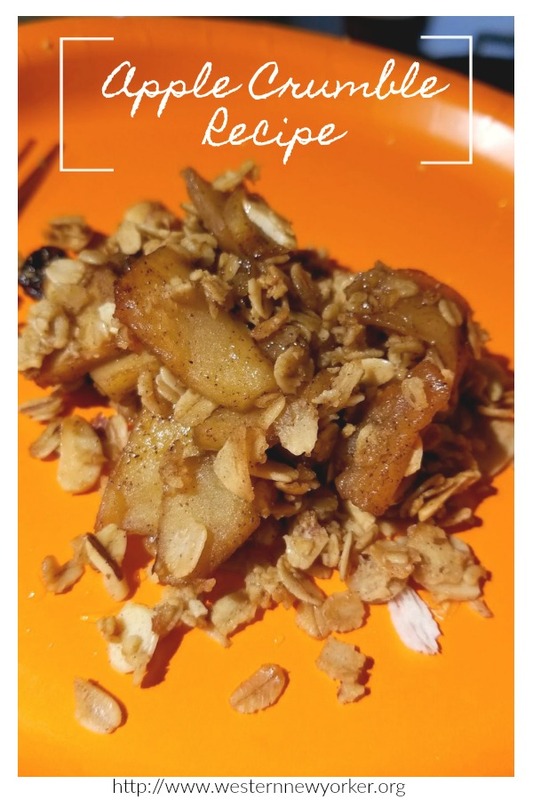 Pour into bowl and add the granola. 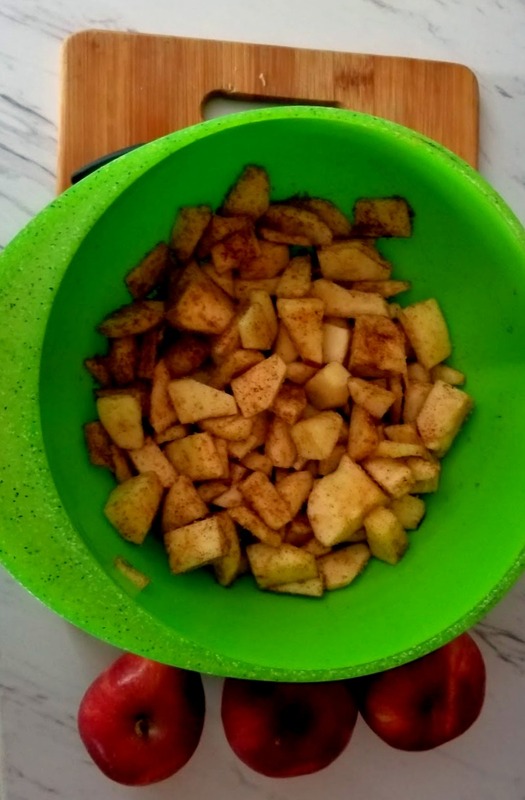 I mix and spread over top of the cooked apples. 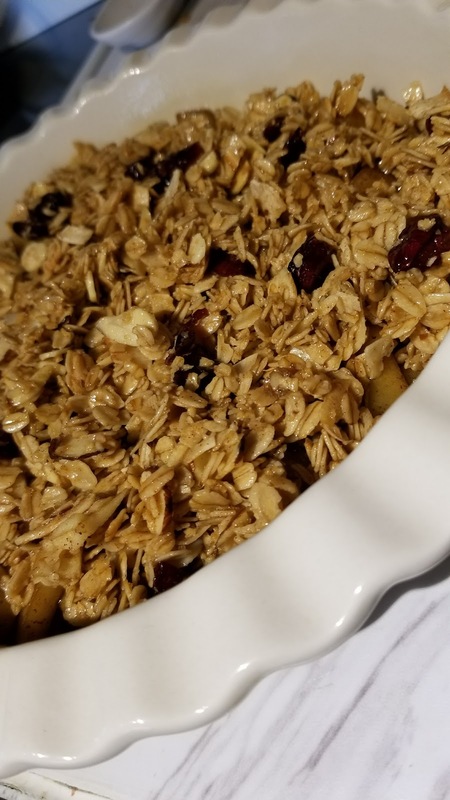 Bake on 350 until granola has a browned color. We like to serve with cool whip but that is optional.